Short pasta line. Versatile and powerful. 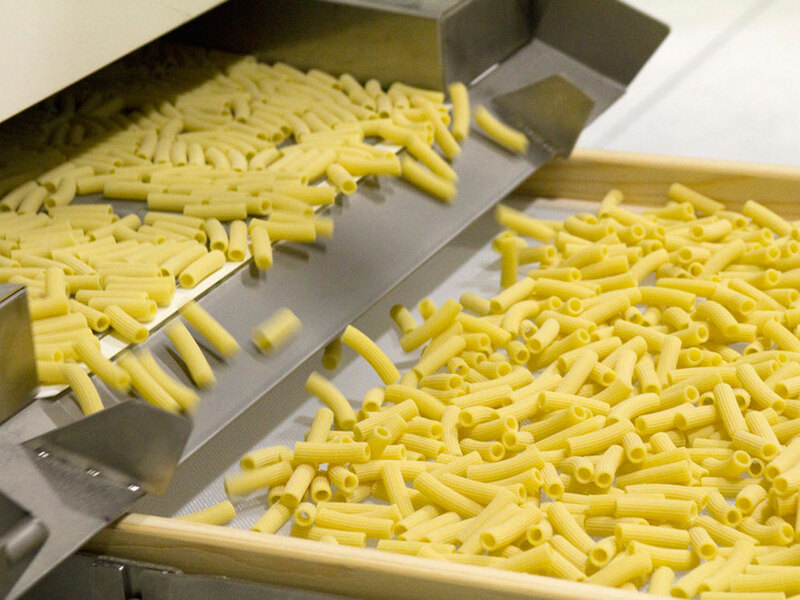 Penne, fusilli, paccheri, conchiglioni, nests and lasagna: SHORTPASTALINE is the pasta plant with a production ranging from 100 to 1200 kg/h, that enables you to diversify your product catalogue. The dough preparation using the pre-kneader PREMIX® and the tank total vacuum technology give a great colour to the pasta, whereas the special outline of the compression screw minimizes the dough heating up, assuring at the same time a better quality of the dough and streamlining the energy consumption. 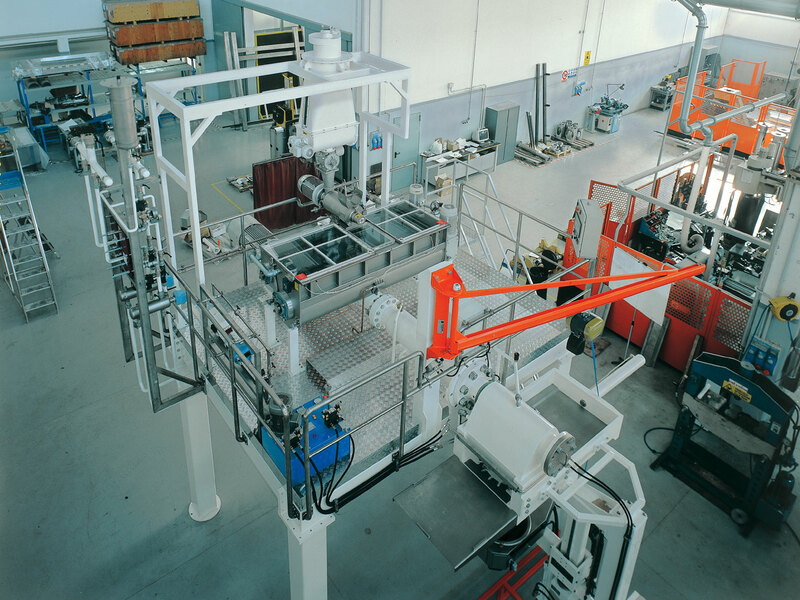 The line, equipped with the Nest and Lasagna pasta machine, can automatically produce nests and lasagna. 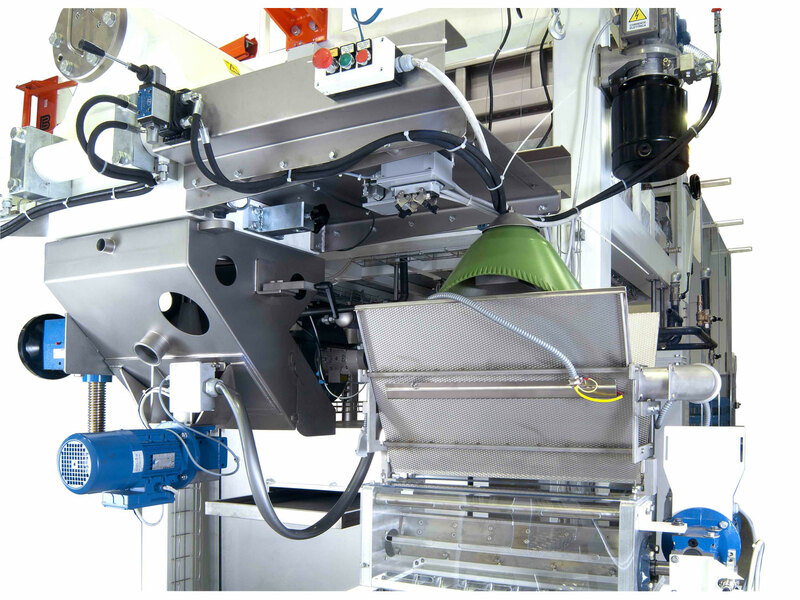 At the beginning and at the end of the line, you can automate all the trays monitoring all the way to the loading of the trolley, thanks to the trays unstacking and stacking machines ROBO/XD and ROBO/XI. 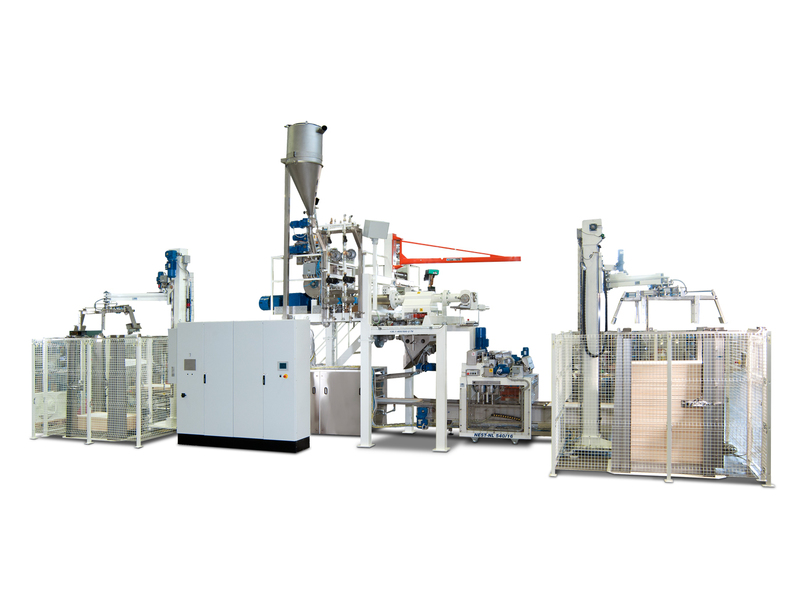 By means of a specific accessory, this line can produce Instant pasta, the new worldwide achievement of fast but healthy food. 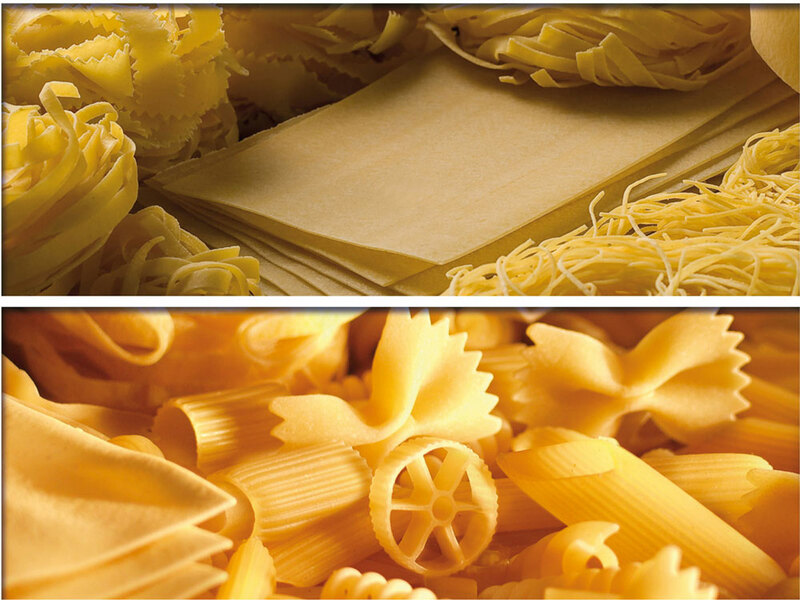 Besides having many chances to develop, it offers a good return on investments on the final product, much higher than that one of traditional dry pasta. This line can produce gluten-free pasta. 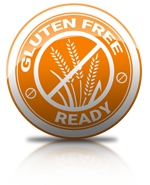 You can choose between precooked flours and raw flours with two different set-ups. 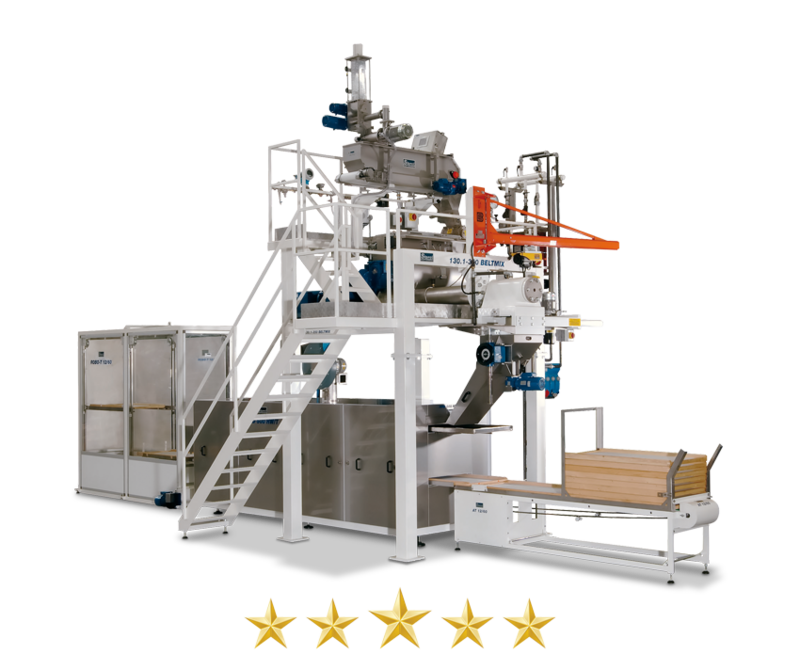 Thanks to our patented technologies, you will get an exceptional product. 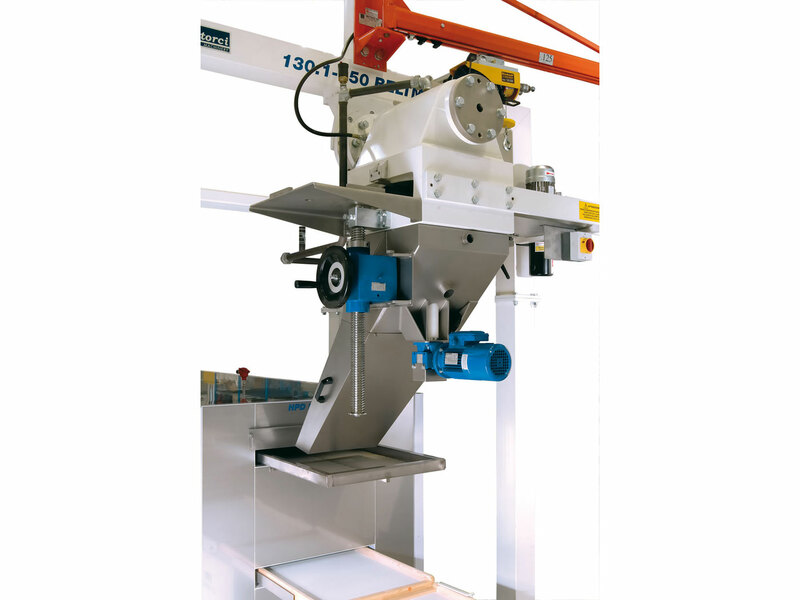 With this line you can produce standard short shapes, such as penne and rigatoni, special shapes such as paccheri and maccheroni, but also nests and lasagna, using the specific optional device. 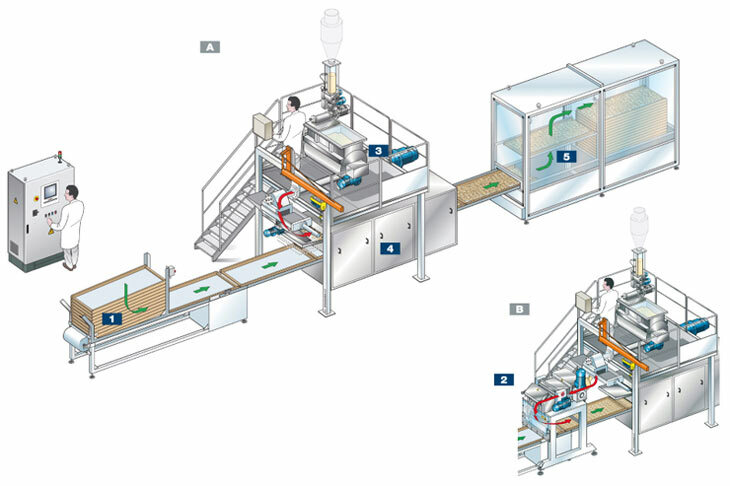 If you are looking for a 100% reliable and high quality line, your choice is Short Pasta Line. Our commitment is meeting your needs. Best short-cut pasta plant. 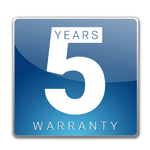 We offer an optional guarantee that can last up to 5 years for main mechanic parts. This shows how much reliable we believe our plants are. We build lines that can work non stop 24/7: we are aware of how important reliability is for our Customers. In this production line you can find all this. From choosing the best components, suppliers and partners to worldwide after-sales support. 100% reliability means to you “the comfort of the right choice”. Short pasta line can be set up according to your needs. There are several available choices that make it adaptable to any need, either you like to produce standard shapes or nests and lasagna. We have stored all the information that you can find in this page, together with other useful tips, in a easily readable document. Download our catalogue clicking here below. You will need Adobe Reader. 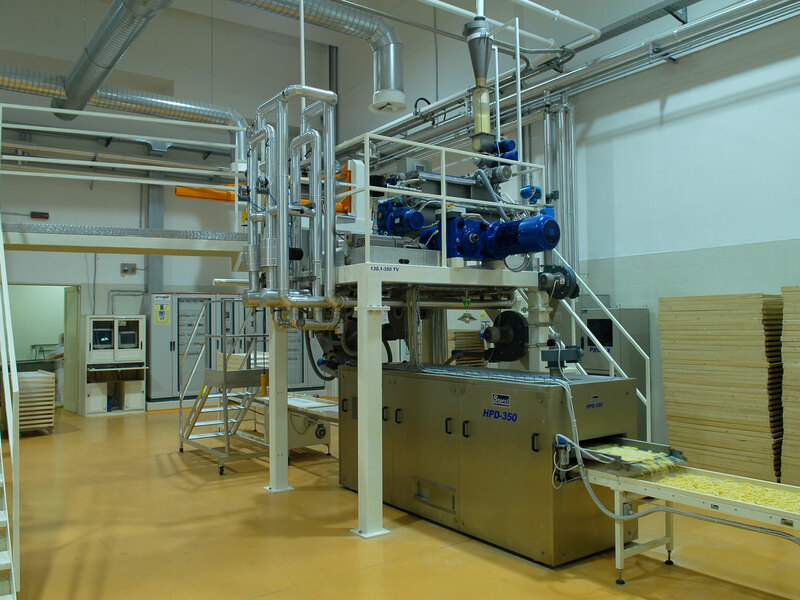 Take a look of the Short-cut Pasta Line's images. Click to zoom. Use the scroll on mobile devices.